(Time) – Talk of Qatar losing the tournament makes complete sense, but in the crazy world of FIFA it probably will never happen. 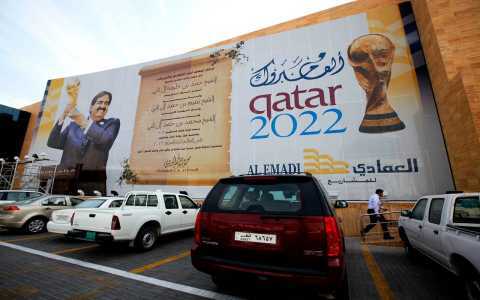 The Twittersphere was alight Monday with talk of Qatar losing the right to host the 2022 World Cup due to the oppressive heat in the Persian Gulf nation. But before the United States begins a campaign to retake the tournament it narrowly lost to Qatar, there are few things to consider. 1. The person saying the tournament will be taken from Qatar is FIFA executive committee (Exco) member Theo Zwanziger. He has long been a critic of Qatar hosting the tournament and, more importantly, is a lone voice among 24 executive committee members. FIFA has already said he speaks for himself and his comments are his own opinion. It still would take the entire committee and a messy and untested process to strip Qatar of the bid. There would also be plenty of lawsuits, including from the European and American companies that stand to make billions by building entire cities, stadiums and transport systems in Qatar.